WP GPX Maps Error: File /home/collabo1/public_html/vip.hikingwithdean.com/wp-content/uploads/gpx/mar2016.gpx not found! Our hike begins on the grass and sagebrush-covered Temescal Ridge. The ridge enables sweeping views of Santa Monica Bay, the sprawling civilization of Los Angeles and the loftier San Gabriel Mountains. 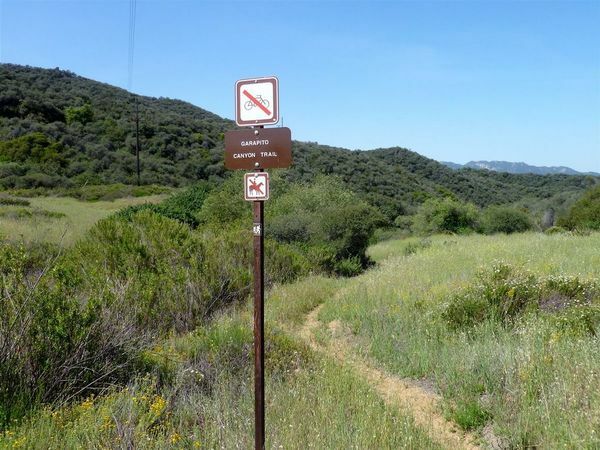 On the way to Garapito Canyon we’ll stop at Eagle Rock, the most impressive landmark in all of Topanga State Park. 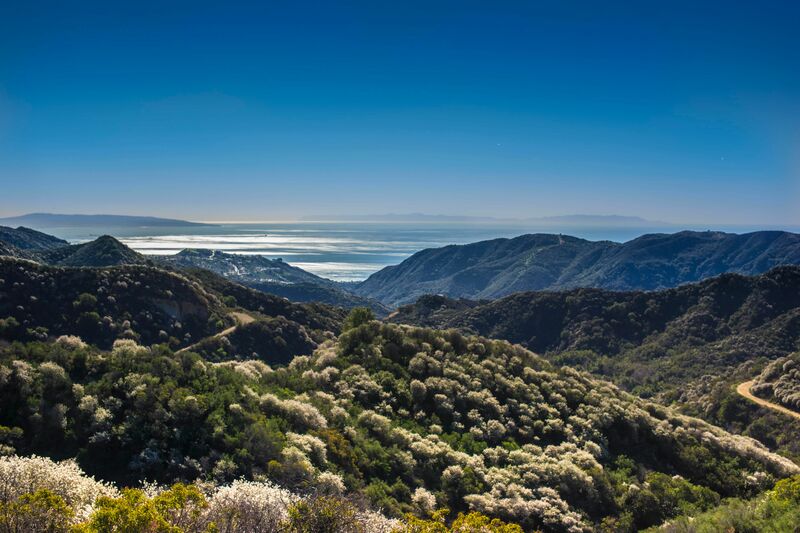 It will afford us an airy perch overlooking the upper watershed of Santa Ynez Canyon and the ocean beyond. We will snack and explore on this impressive sandstone rock covered with crevices and caves. We’ll descend the narrow Garapito Trail cutting a sinuous course through mature chaparral — mostly mountain mahogany and ceanothus up to 20 feet tall. The blossoms of the ceanothus exude an attractive wild honey scent in spring. 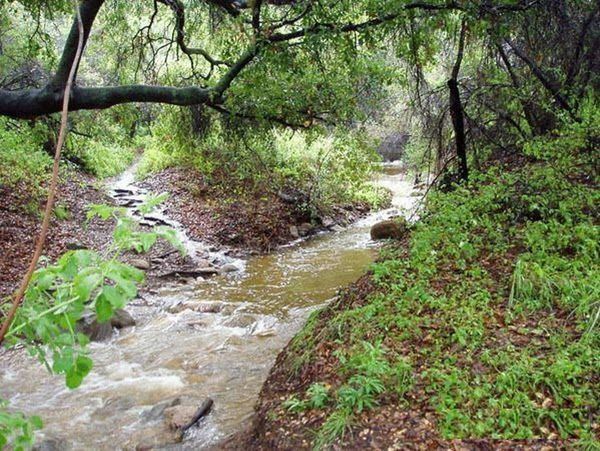 Tunneling through the tall brush, the trail eventually switchbacks down to the sycamore-shaded canyon bottom, crossing two forks of Garapito Creek and then contours a short distance over to an east fork. The climb out of Garapito Canyon will bring us back to Temescal Ridge as we complete the loop and head back to the cars whence we came.